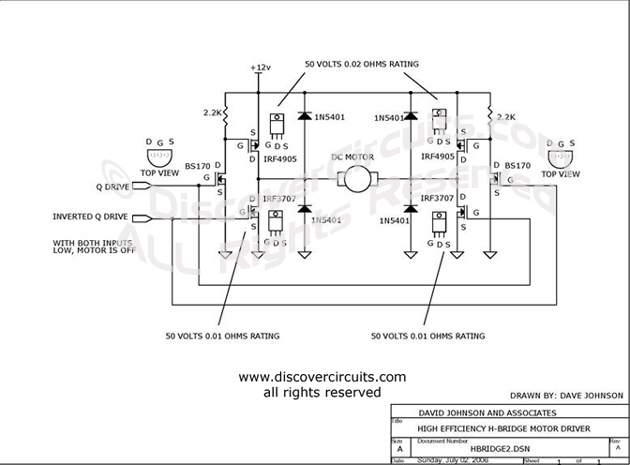 Circuit: Low Voltage H-bridge__ Circuit designed by David A. Johnson, P.E. TTL type Q and inverted Q inputs control a classic H-bridge circuit, rated at 50 volts and about 10 Amps. The circuit can control power and direction of a DC motor.